MYTH: Old, unsafe Carpenter school buses are being used to transport HISD students to and from school. FACT: HISD no longer uses Carpenter school buses. In 2003, the National Highway Traffic Safety Administration issued an advisory about Carpenter school buses, warning that the roof could cave in should the bus overturn. As a result, HISD removed about 525 Carpenter buses from the fleet at that time. This entry was posted in Transportation and tagged buses on September 17, 2013 by HISD Communications. [slideshow]While parents prepare their children for back to school, HISD’s Transportation Department is preparing all of the district’s bus drivers and attendants with training and tools to safely drive the students to and from school every day. This year, HISD’s Transportation Department is adding counter-terrorism training which will include a mock disaster drill on Thursday, August 9 from 9 a.m. to 10 a.m.at 6351 Pinemont Drive. The mock disaster drill involves an overturned school bus. To add a touch of realism, an older model school bus has actually been overturned on its side and will be used as a hands-on learning lab for all district bus drivers and attendants. This drill will allow staff to incorporate previous trainings such as student management, emergency evacuation, and counter-terrorism. In addition, this mock disaster drill will also involve staged human injuries which will allow district bus drivers and attendants to utilize the first-aid training they recently received in May. 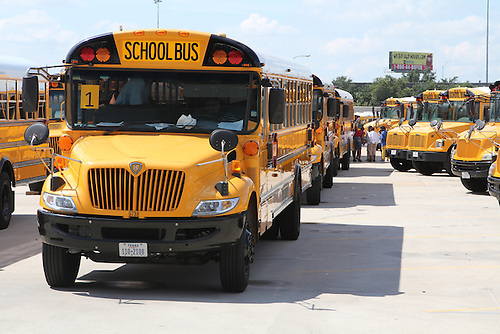 In May 2012 the HISD Transportation Department was selected as one of two districts in the nation as a finalist for the prestigious Larson Quality Award. The Leland E.G. Larson Quality Student Transportation Program was developed to spotlight school bus operations that provide high-quality customer service in safety-centered operations. Each day, about 875 HISD school buses travel 80,000 miles as they transport 30,000 students to and from school. This entry was posted in Transportation and tagged bus, buses, counter-terrorism, driver, training, transportation on August 16, 2012 by HISD Communications. 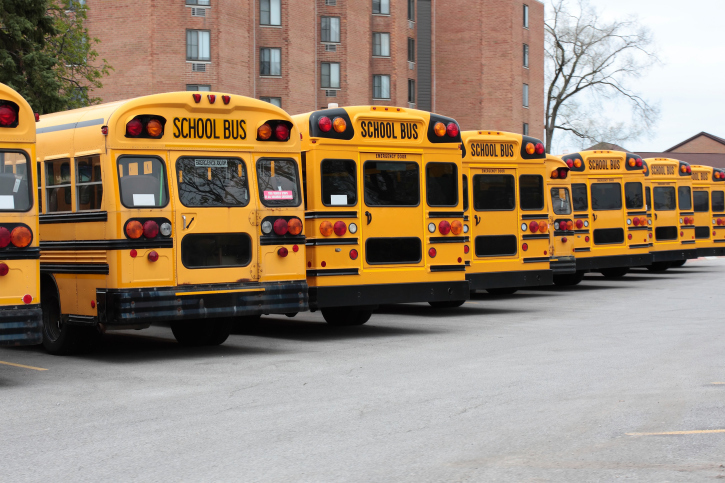 For the second consecutive year, the Houston Independent School District made the list of the top 100 fleets in the nation for 2012, according to Government Fleet, a leading transportation industry magazine. HISD moved up five spots to number 52 on the list and once again is the only school district in the country to earn a spot on the list. This entry was posted in Uncategorized and tagged bus, buses, fleet, transportation on July 23, 2012 by HISD Communications. Student and employee safety is the top priority of the Houston Independent School District. HISD’s efforts to protect students and staff include a comprehensive school bus safety and student discipline strategy. HISD officials are aware of the student discipline concerns raised by the Houston Educational Support Personnel union and the district takes these concerns seriously. District officials are reviewing the Student Code of Conduct to determine whether revisions are necessary. This review will include an evaluation of the union’s request to include a more specific mechanism for suspending bus riding privileges for students with ongoing disciplinary issues. •	All bus drivers this year received four hours of student management training. •	Every HISD bus is equipped with at least two security video cameras. •	HISD transportation administrators conduct monthly roundtable discussions with employees at each bus terminal to hear employees’ concerns and address them. HISD bus drivers are asked to report all disciplinary issues to their supervisors. The supervisors then investigate the incident by reviewing videotape, usually within 24 hours of receiving the complaint. Based on the results of the video, either the school and/or HSID police are informed of the incident and given the opportunity to review the video. Appropriate action is then taken by the school or police. The HISD transportation department is unaware of any unresolved issues regarding specific incidents brought forward by bus drivers. Transportation officials have asked union officials to provide a list of specific instances in which they feel appropriate action was not taken, but we have received no such list at this point. If such a list is provided, HISD will investigate thoroughly. This entry was posted in Transportation and tagged bus, buses, discipline, Student Code of Conduct, transportation, union on April 10, 2012 by HISD Communications.